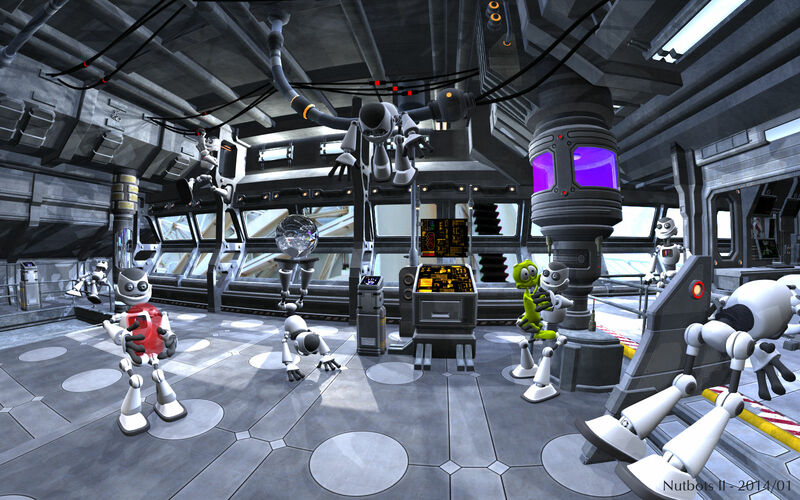 Description: The building, part of Sector 15, the Toon-Bots and the Toon-Alien are all from DAZ 3D. One of the robots holds a semi-transparent red Klein bottle modeled by David Brinnen in Wings3D. It is actually a re-take of http://www.bryce5.com/details.php?image_id=3117 and I doubled the amount of silly robots. IBL has changed a lot in 7.1 from 6.1 and there were more adjustments required than anticipated. In front of the camera is the EWL: a 16 mm fisheye lens. The three lights above the window have 7% soft shadows, the sun 10%. I was inspired by Stuart's beautiful Asimo render to redo this scene. Wow Horo. Theres a lot more to this than mine, and your original. I love the lighting and the ball reflecting everything. The fisheye lens definately changes things. Nice fun scene, and the lack of gravity helps. Stuart, Bryce 6.1 IBL hadn't a saturation control, that's why the old one is overly blue. Trish, the purple is the complementary colour of the green of the toon alien. 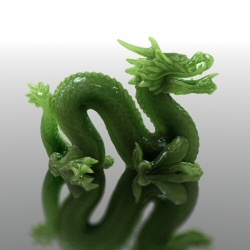 It was green before but it clashed with the green of the alien. I thought you'd like it. I doo, too. Thanks for explaining the lighting choices over at Daz3d. Again here I will say that the results are very nice and much more challenging than it appears. In particular I like the way the scene feel vivid but not overly lit. Excellent! OF course the poses and overall mood are a lot of fun!